If you are preparing to work on a renovation project, you may need to erect a shorting system to help stabilize the structure. Shoring erection is used to stabilize structures that may not be structurally sound. By working with a company that building shoring near Washington, D.C., you can ensure that your project is completely safe for you and your workers. To help you choose a shoring system, here is a closer look at the different types of shoring. Raking shores are among the most commonly used types of shoring . When raking shores are erected, they provide lateral support to the exterior walls of a structure. Raking shoring is composed of several different elements, including rakers, needles, wall plates, and bracing. The rakers are typically installed at a slight angle, providing the building with the best level of support. 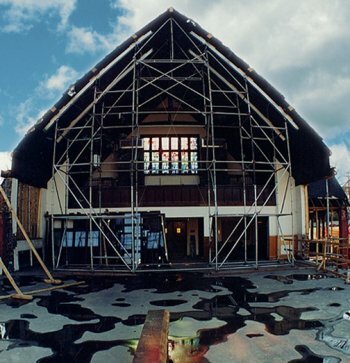 Flying shores are used for projects that involve the total demolition of a building. If the building is structurally supporting the properties on either side, flying shores will be erected to provide safe and stable support. The shoring will be trussed across the vacant area, ensuring that the buildings on either side of the demolition site do not collapse. Occasionally, a renovation or restoration project will require vertical support. For example, if part of a wall is being removed during a remodeling project, a vertical shoring system will need to be put in place. When vertical shoring is erected, this type of shoring is commonly known as dead shoring. When you are in need of a shoring rental in Washington, D.C. , be sure to contact Scaffold Resource. Our scaffold and shoring experts will work closely with you to design the right shoring system for your project, and we can help you make sure that your shoring is safely erected. To learn more about our great scaffolding services, give us a call at (301) 924-7223. Shoring is a term that is used to describe the support system that is used to prevent buildings from collapsing during construction. For example, when you are building in a tight urban area, a shoring system will allow you to safely and effectively complete your construction. With carefully placed shoring near Washington, D.C., you will be able to rest assured that your construction project is structurally sound. To learn about planning a successful shoring project, check out this video from Architectural Dimensions. For help with your scaffold shoring needs, be sure to contact Scaffold Resource by calling (301) 924-7223. With our highly rated shoring system rentals and other services, we can help you with the crucial components of your next building project. 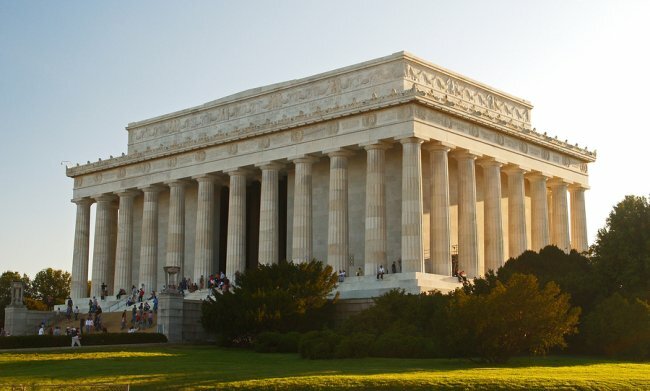 At Scaffold Resource, we are pleased to offer shoring near Washington, D.C. Due to our unique geographical location in the Washington, D.C. area, we have been privileged to provide shoring for restoration projects on some of our nation’s most treasured monuments. For example, our scaffold shoring services were integral during restoration projects for the Jefferson Memorial and the Lincoln Memorial. When working on these notable historic monuments, we were able to make sure we were sensitive to the aesthetic and cultural significance of these sites. Our other notable shoring projects include restoration work on the Pentagon, U.S. Supreme Court Building, and the U.S. Capitol. When you are seeking a shoring system near Washington, D.C. , look no further than Scaffold Resource. We are proud to provide our clients with top quality shoring and scaffolding rentals, and we will ensure that your shoring meets the unique demands of your project. To set up a shoring rental today, call us at (301) 924-7223. 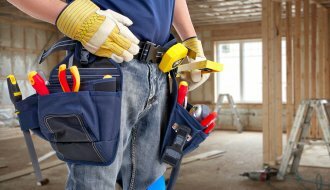 When you are planning an upcoming construction project, chances are that you will be in need of a scaffolding rental. With properly placed scaffolding, you will provide your workers with a safe and stable platform for all of their tasks. As you are considering scaffolding rentals near Washington, D.C., you should be sure to trust your services to a highly rated scaffolding company in your local area. 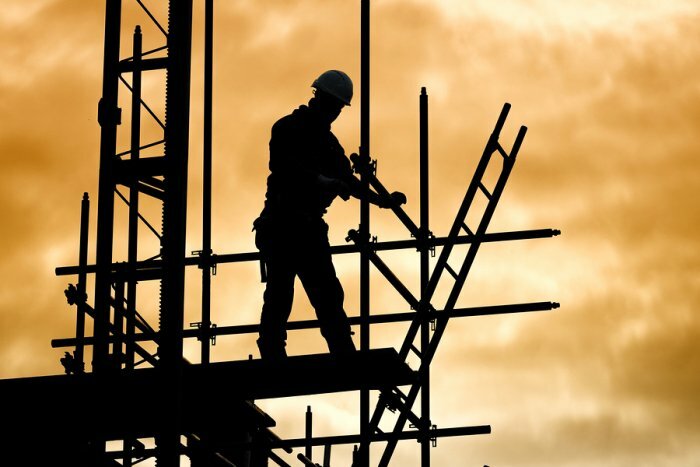 Read on for some important factors to consider when you are selecting a scaffolding company. When you are choosing a scaffolding company, it is important to consider the type of construction project that you will be performing. Different types of construction require varied scaffold services in order to ensure that they are completed safely and effectively. If your project requires specialty scaffolding, you will want to seek out a company that specializes in this type of project. Safety is of the utmost importance when you are choosing a scaffold company. When you are selecting a scaffold company for your construction project, you will want to make sure that your company is up to date with all of the scaffolding permit and regulations in your area. By following safety guidelines, a scaffold company can prevent accident and injury. A final factor to consider when you are choosing a scaffolding company is the type of training that the company provides to its employees. In order to erect and maintain scaffolding, a company must be registered and licensed. The licensing process requires workers to undergo training in safe scaffold erection techniques. At Scaffold Resource, we are thrilled to be among the leading scaffold companies in Washington, D.C. Whether you are planning a new construction project or are renovating an existing building, we will be there to assist you with all of your scaffolding needs . Call us at (301) 924-7223 to set up a consultation with our team of consulting experts today. Hanging drywall can seem like an impossible procedure to take on without the assistance of a partner, but scaffolding and shoring systems make this possible. Watch this video clip for a few tips for hanging drywall. If you are not working with a partner and you need to hang drywall, consider using a lift. Like a partner, your lift will have two arms that hold the drywall; unlike your partner, it will also have support hooks. You can then use the lift to position the drywall and lift it up to the ceiling. After locking it in place, you can add screws to your drywall. Scaffold Resource is proud to offer scaffolding and shoring systems near Washington, D.C. If you are looking to rent or buy scaffolding, feel free to give us a call at (301) 924-7223 or visit our website. You can also stop by and meet with us if you live in the area. The many different forms of scaffolding share plenty of similarities. However, they also differ from each other in a few important ways, making them viable for different applications. If you are interested in finding a scaffolding rental that suits your needs, continue on to take a look at System Scaffold. The System Scaffold makes use of top of the line technology to offer a scaffolding system that is both safe and convenient. 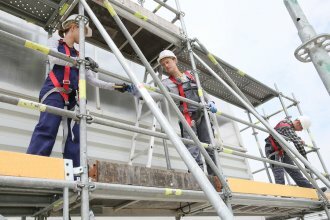 You can assemble and disassemble this scaffolding quickly and easily with standard tools. In cutting out assembly and disassembly time, System Scaffold helps you save on labor costs and get to work as quickly as possible. To use this system, you must simply align your wedge head and rosette, insert the wedge into the wedge head, and hammer the wedge into the rosette. This type of scaffolding can be used in countless different situations. For a closer look at system scaffold, call Scaffold Resource at (301) 924-7223. Our shoring and scaffold company specializes in scaffolding rental serving Washington, D.C. You can find out more about our scaffolding services by visiting our website. If you live in the area, stop in and see us for more information today. If you are in need of a temporary support system so that you can renovate or demolish a structure, a shoring system may be just what you need. There are a few aspects of shoring that you should understand before getting started, however, because shoring is not the same as scaffolding. Read on for a look at some essential information about shoring. 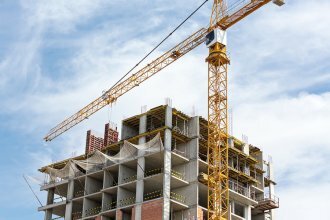 When your project requires you to support a building or structure that may be in danger of falling, you will need shoring. You can use shoring in vertical, horizontal, or angled fashions depending on the structure that you must support. Shoring is incredibly useful when it comes to repairing a building that has become structurally unsound, and it can also be used to keep trenches from collapsing while they are in the process of being built. Although they are often part of the same conversation, shoring and scaffolding typically have very different uses. Scaffolding allows workers to scale the sides of buildings in order to perform various services. Scaffolds are often suspended from the tops of these buildings or structures, and many types are moveable. Shoring, on the other hand, is used to support the structures themselves rather than the workers. A worker who is standing on a platform while doing his or her job is using a scaffold; a worker who is using a platform to support another structure is using shoring. You may find shoring in flying, dead, or raking varieties. While each of these types of shoring has a similar goal, they look and operate slightly differently. It is important to choose the right type of shoring for your project, so talk to a scaffolding and shoring professional to find out what kind you need. Are you interested in finding out more information about shoring? If you are, contact Scaffold Resource or visit our website . We specialize in shoring systems near Washington, D.C. as well as dance floor scaffold and scaffold rental. Please do not hesitate to stop by and see us or call us at (301) 924-7223 for more information. A quality scaffolding rental can help you complete certain jobs safely and efficiently, but it is important to find the right type of scaffold for the job. It helps to become familiar with the various kinds of scaffolds and how they are used before making a decision. Keep reading for a look at the different types of suspended scaffolds. A single-point adjustable scaffold hangs from the roof of a building or an overhead support system by one rope. This type of scaffolding is ideal for one person who is washing windows or cleaning the side of a tall building. Multi-point adjustable scaffolds are similar, but they rely on several ropes for overhead support. Unlike a single-point adjustable scaffold, a multi-point adjustable scaffold may be able to accommodate additional workers. Both of these types of scaffolding may be raised or lowered as desired . Like single-point and multi-point adjustable scaffolds, two-point scaffolds also hang from an overhead support system by ropes. This type of scaffolding features a rope or cable connection at stirrups on each side of the work surface. You can raise and lower a two-point scaffold system while it supports workers, so it must have enough support to remain secure while in motion as well as in a stationary position. For safety reasons, it is important to access a two-point scaffold system from either the ground or the rooftop of the building you are working on rather than by ladder. Catenary scaffolding relies on ropes as well, but it does so in a different manner. Two horizontal ropes surround a catenary scaffold. These horizontal ropes are connected to vertical pickup ropes that are attached to an overhead structure. This type of scaffolding may utilize up to two platforms at once. If you would like to learn more about the different types of suspended scaffolds, call Scaffold Resource at (301) 924-7223. We are happy to offer high quality construction scaffolding and shoring. Feel free to visit our website or stop in and meet with us if you are in need of a scaffolding rental in Washington, D.C.
For nearly a decade now, Scaffold Resource LLC has built an impressive track record of scaffolding projects and list of valued clients, involving some of the most complex work sites with tight turn-around times, challenging work conditions, and budget constraints. A shortlist of our portfolio include a number of America’s most treasured national monuments such as the U.S. Capitol and U.S. Supreme Court buildings, the Lincoln and Jefferson Memorial, and the Museum of Natural History. 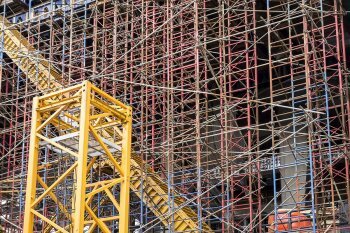 Through our effective and reliable scaffolding systems, we have evolved into a full-service scaffold group, offering a wide range of services throughout Washington D.C., Virginia, Maryland, and beyond. 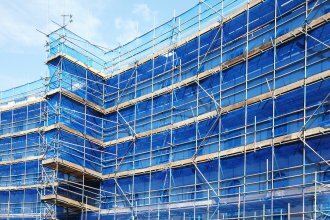 Whether it’s a construction, restoration, or renovation project, we offer different scaffold types and services to meet our clients’ unique requirements. We can furnish jobsites with a variety of scaffold types such as stair towers, sidewalk canopies, wall access, dance floors, and high-capacity platform scaffolds to meet their project needs. With Scaffold Resource LLC, you can be assured that our team of engineers have enough expertise and experience to get the job done, thanks to more than four decades of combined experience. We only use the best quality materials when developing scaffolding projects, employ the best and safest industry practices to meet stringent safety protocols and regulations, and lend careful attention to every detail of your project. We pride ourselves in making the safety of the public, our clients’ personnel, and our own staff our first and foremost priority. Scaffold Resource LLC also specializes in shoring systems to keep the structural elements of our scaffold projects stable during building construction, renovation, and expansion activities. Our competitively priced stock-and-trade rentals and services are unparalleled throughout the eastern seaboard. Among the scaffolding access and shoring solutions we feature is our state of the art Scaffold System®, with the innovative rosette connector as its centerpiece. This advanced modular scaffold allows for quick installation and dismantling, effectively minimizing labor costs and unnecessary delays. Our Scaffold System® has a flexible modular design which reduces the number of parts required to build a scaffold, providing for a highly adaptable and dependable scaffold to help ensure on-time completion of scaffold work. It can be used on a variety of structures, different industrial applications, demanding renovations, special events, and other types of signature worksites. We invite you to learn more about Scaffold Resource LLC, our scaffolding projects, our value-added approach, and our services by contacting us today at 301-924-7223; our scaffold engineering experts will be glad to hear from you. Scaffold Resource LLC specializes in shoring projects, ensuring a safe working environment at the jobsite for our clients’ workers. We offer high quality, heavy duty shoring rental equipment to keep structural elements stable and prevent collapse during building construction, renovation, and expansion activities. Scaffold Resource LLC is the premier source for scaffolding and shoring solutions in Washington D.C., Maryland, Virginia, and beyond. Our shoring services provide a cost-effective solution for any type of construction project. Whether contractors need stock-and-trade rentals or are faced with extreme engineering challenges with tight turn-around times and difficult work conditions, Scaffold Resource LLC can be trusted to provide the services they need to guarantee the safety and success of their projects. We will work closely with our clients when developing the shoring for each project. Our scaffold engineers will take our client’s specifications into consideration to be sure that the systems we design and install are able to meet structural integrity and load requirements. For old structures without reliable drawings, a thorough site inspection will be conducted. No matter how large or small a project is, Scaffold Resource LLC will provide the necessary shoring solutions our clients need. We have supplied shoring rentals to a variety of shoring projects throughout the states we serve. For instance, we’ve designed and installed a cantilevered shoring system for an elementary school under renovation. We have also furnished a shoring system to support the roof of a religious building that needed to be renovated and expanded. Our extensive inventory and experience in the field enable us to advise clients with the most appropriate shoring systems for their projects. Feel free to click on the projects we feature on this page to learn more about our capabilities. Safety is given paramount importance in each of the shoring projects we have been involved. Our staff undergoes rigorous training programs so that stringent safety standards are met. Our client’s workers can also be given the same programs not only to ensure strict compliance with OSHA requirements when it comes to using our equipment, but also to maintain a safe working environment. Apart from shoring systems, we also offer different types of scaffolding equipment including stair towers, sidewalk canopies, wall access, dance floors, and heavy duty platforms to help our clients meet their specific needs. We also offer our innovative Scaffold System® that adapts to any kind of structure, industrial application, renovation, and special event. For any inquiries about our services or the shoring projects we have completed, feel free to contact us at 301-924-7223.